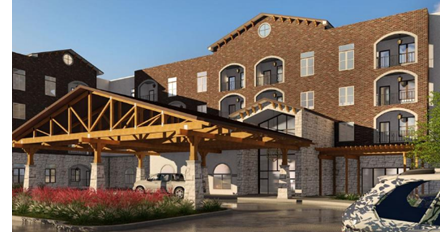 LIVE OAK, BEXAR COUNTY – California-based Drever Capital Management has plans for a new senior living community called Larkspur at Live Oak. The 213-unit, four-story community will feature private garages, an outdoor recreation space with a resort-style pool, cabanas, and an outdoor kitchen. The community will sit on 15 acres between Gateway Blvd. and Old Austin Rd. off the I-35 frontage Rd. Larkspur at Live Oak plans to break ground late 2017 and is scheduled to deliver early 2019. ​​​Check out San Antonio-New Braunfels Multifamily Market Research.